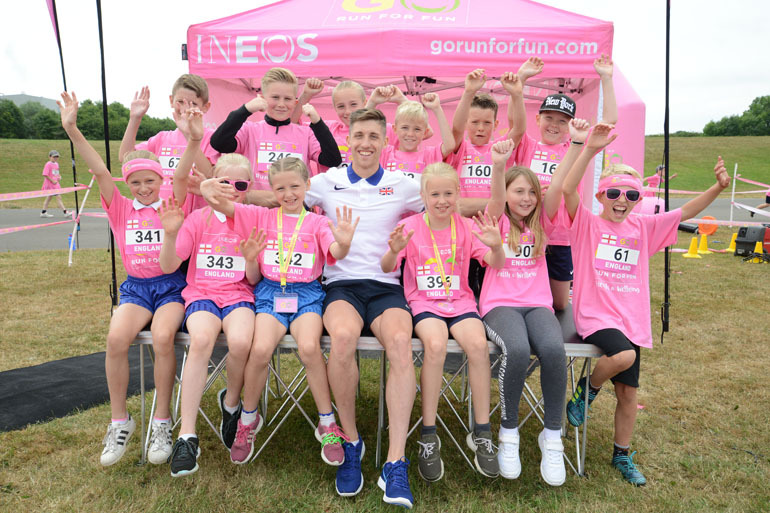 Hundreds of primary school children gathered at Oakleaf Sports Complex in Newton Aycliffe for a running event arranged by GO Run For Fun. 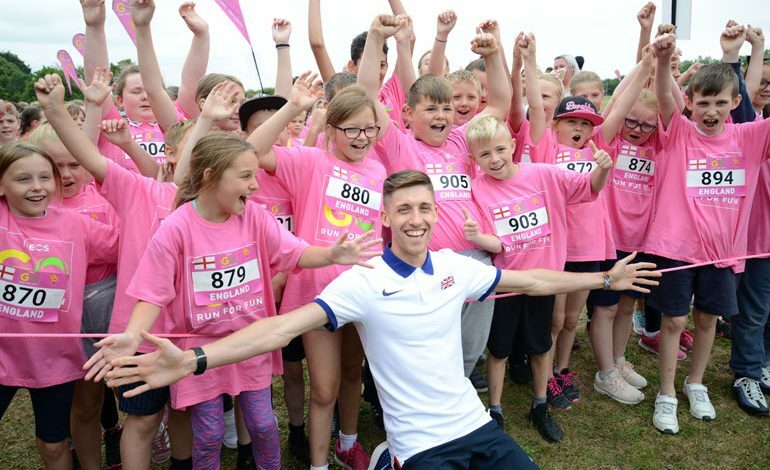 Durham-born Athlete Cameron Boyek, who set the runners off at the start line and congratulated them as they crossed the finish line, joined the pupils in the mass running event on Friday (July 13). Cameron, who specialises in long distance and cross country running, said: “I was attracted to GO Run For Fun’s Newton Aycliffe event because it promotes healthy living for young children through physical activity, and it’s an opportunity that I wish I had as a young boy. Cameron’s interest in running began in secondary school when he was 12 years old, and Cameron won the school cross country race. It was then when he realised he had a talent, and was then asked to attend a local running club. Deputy Mayor Mary Dalton also made an appearance at Oakleaf Sports Complex, congratulating the children as they completed their fun run. 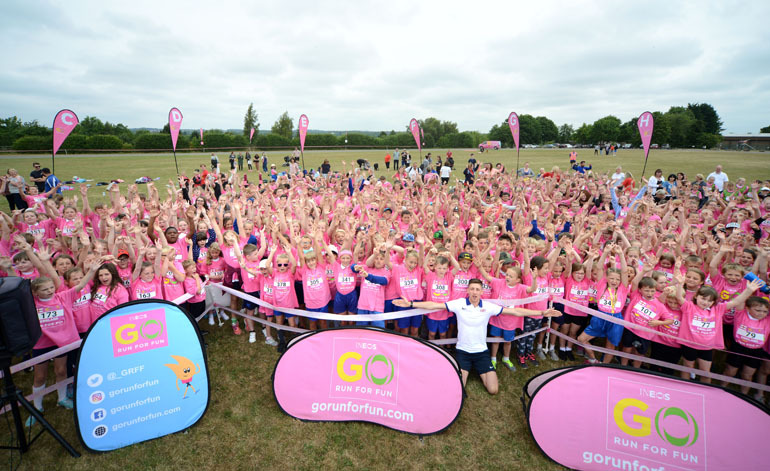 The event, organised by GO Run For Fun, which is part of The Great Run Series, is one of many fun runs which are taking place across the UK, so far seeing over 26,000 children taking part since its launch in 2013. The ultimate goal is to get 280,000 children running by the end of 2018. The programme is supported by INEOS, a multinational company headquartered in London, with health and fitness at the heart of its ethos. INEOS chairman Jim Ratcliffe added: “It has never been more important to support young people in leading healthier, more active lives.